This article picks up on where From the Beginning finished in describing what happened next. With the Homo sapien sapiens seed now beginning to spread throughout the globe, to begin with all of this meant very little. They were just one of many, a new kid on the hominid block, simply because outside Australia many hominids were already in residence. 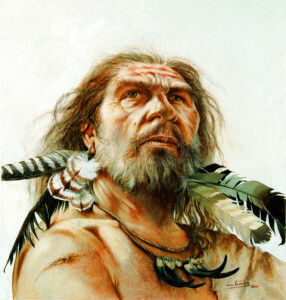 They were not alone, standing beside them once they set sail from Australia to new lands were Neanderthals, Cro-Magnum man, Denisovans, Red Deer Cave Man, Homo Enigma, a new species without a title referred to as Penghu 1 and a multitude of other hominids. Outside Australia, the planet was packed to the rafters with all manner of folk, and of course when itemising those in attendance, we must not forget to include the little people (Homo Florensis). What we would be a grave error of huge proportions is to assume that once the first Original Homo sapien sapiens set foot on distant shores they stood above them and kept apart. That was never part of the plan. This interaction was meant to be up close and personal in every possible way, and explains why 4.7% of my genetic make-up is Denisovan. Babies were made, but these other non-sapien species are claimed to be lesser in intelligence and inferior in genetics to the pinnacle of hominid evolution: Homo sapien sapiens. Yet it is obvious some Original Homo sapien sapiens were never that condescending and saw things on an equal footing. We disagree with that imposed distinction, and believe this obsession with an increasing cranium capacity being the indicator of a superior status is a fallacy. Could it be that other hominids used more than the paltry 10-15% of the brain‘s capacity and cells we call to the thinking equations of today? What if the Denisovans used 25% of what was available? Moreover, how does one explain, if remaining faithful to the genetic maxim that bigger is better, why the Neanderthal had a bigger brain than modern humans? The size of Homo Florensis’ brain is not much bigger than that of a chimpanzee, yet it is postulated they made tools, had a society and may have talked. There are suggestions the frontal lobes of these ‘hobbits’ are larger than expected and thus explains their unexpected sophistication, in other words they had less but were using more of what was on offer. If that happened with one earlier hominid, why not the others? Is it possible the only reason our brains are bigger is that we use less and thus need more quantity just to keep at the same thinking level as the others? Irrespective of where these mariners from Australia were positioned on the Hominid ladder it is undeniable they did eventually occupy the top rung, and that at some time between 16-12,000 years ago, nearly every other species of hominid literally disappeared off the face of the earth. Whether due to a global catastrophe, stagnating in genetic cul-de-sacs or combination of both can never be determined in absolute terms. What does seem obvious is that past that point the Homo sapien sapiens prevailed and all others either became extinct or were so decimated in numbers they were rarely seen. With the issue of genetics and position on the pedestal still to be determined and far less clear than what many presume, there are still many parts of this package exported abroad that have rarely been understood or acknowledged, and this forms the base of the next portion of this ancient Original narrative. It is these blessings, insights and technologies, all originating in Australia, that is our focus and includes religion, language, art, astronomy, navigating by the stars, gender equality, democracy, technology of a level that is so advanced it is has just been equalled today and sometimes is beyond our reach, brain surgery, mathematics and all the hallmarks of cultured behaviour we mistakenly feel separates us from all other life-forms. This place and these people was the source from which all myths relating to the fabled Garden of Eden originated. One such Original confederation is still in existence, it never ceased nor was it forgotten. Southern Law binds together hundreds of Original tribes, running all the way along the coast from the Kimberleys in the north through to Cape York and inland nearly 500 kilometres, and shared so much more than just food, tools and resources. 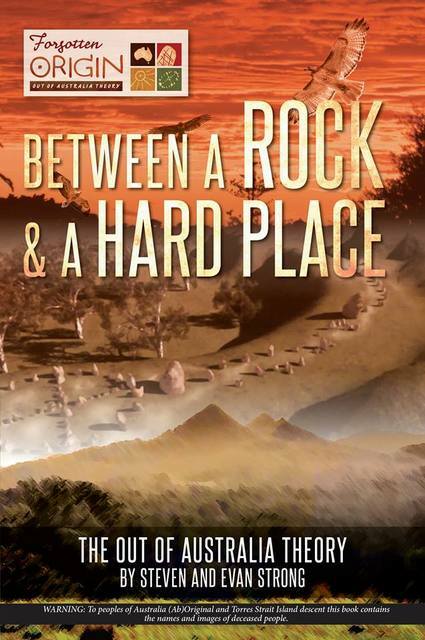 Within this ancient alliance there were central sacred sites that bound all of the tribal members across the country to a shared set of beliefs and ceremonies. 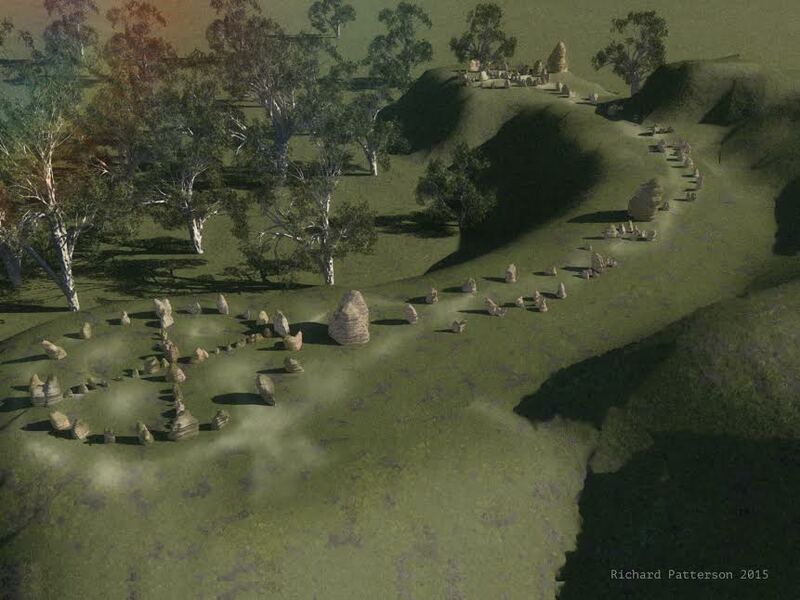 One such site was the Standing Stones arrangement found in the Far North Coast of NSW. 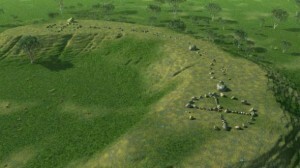 In what is a very convincing and seemingly unheard of activity which was extensively reported in many newspapers in the 1930’s, Elders from Broome, Cape York, Stradbroke Islands and many other locations were reported to have conducted ceremonies on the mound, or were seeking out the site after it was destroyed. In each case these men of high degree were adamant it was right and proper for them to conduct their rituals on land they were not born on or had any direct kinship connection. The symbols and arrangements used were known of by Elders and Custodians of Lore, and we know as an absolute fact Karno Walker (Ramindjeri spokesperson) knew of the symbols used on this ancient mound before Frederic Slater’s ‘Original dictionary of the First Language’ was recovered. His people live over 3,000 kilometres to the south-west of this site, yet despite the enormous distance that apparently separates, his people are part of this sacred place. We do not believe it is purely coincidental that the Kartan Tool Technology is considered the oldest in Australia and originated in Ramindjeri country (Kangaroo Island/Karta: Island of the Dead). Equally what is believed to be one of the oldest styles of Original art is referred to as Panaramitee also originates in South Australia and can be found throughout the entire Southern Law confederation. Once a harmonious system of social and spiritual order is instituted, lacking in greed, steeped in spiritual sensibilities and underpinned by gender equality, then anything is possible and all of these understandings, insights and improvements become an integral part of daily living. When Karno first told me that in ancient days Original sailors circumnavigated the globe in a figure eight, we thought we had some idea of what was shared with others, but now know the check list we are ticking off is woefully inadequate. Despite our shortcomings and omissions, if nothing else it will at least serve in resetting Original parameters and geography. To circumnavigate the oceans of the world in a figure eight requires people building ocean-going boats, being able to navigate across the oceans and chart their progress. If consulting the Original Custodians of the Old Ways this did indeed happen in ancient times, if reading from the pages of accepted historical texts such a proposal is ludicrous and beyond the capacities of any Original person until well after the British Invasion. There is only one truth here, one account is right and the other version wrong. The solution is simple, check the archaeology in Australia and see what was then exported abroad, and in doing so it is worthwhile taking notice of the means of conveyance. For Karno Walker’s claim that ancient Original mariners circumnavigated the oceans of the world in a figure eight to be feasible, we need proof of a boat with a high bow and stern which was designed to withstand nature’s fury, of a crew large enough (>20 adults) to negate in-breeding once stepping ashore on new shores, sophisticated navigational skills, knowledge of the four cardinal directions, the stars above and their movement. 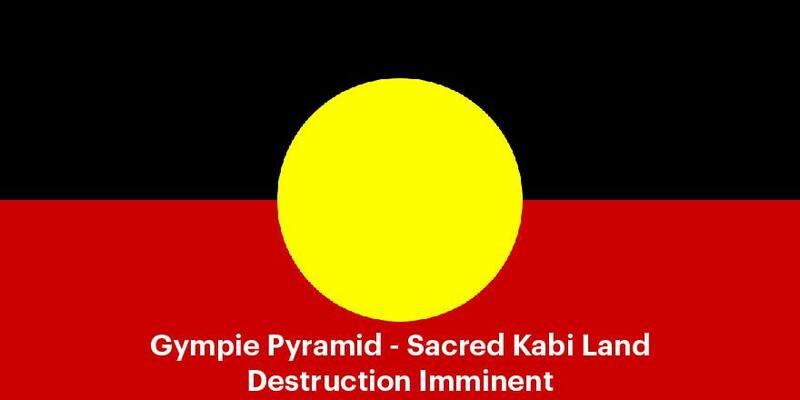 Not only is such knowledge compulsory it exists in abundance, is found in Australia, is very ancient, and stands in complete contradiction to the conventional accounts of Original and global pre-history. If leaving Australia with less than twenty adults on board, the chances of avoiding the effects on in-breeding and mutations is minimal. As such, Graham Walsh’s discovery of a cave paintings in the Kimberleys of “massive,”(2) “totally alien”(3) “ocean-going boats”(4) crewed with 23 and 29 people is a pragmatic concession to the need to keep Original genes untainted. In what only adds to the ambiguities, Walsh was heavily influenced by the accepted gross underestimation of Original intelligence and technology and was at a loss in supplying any coherent explanation beyond straying into the realms of pure fiction. His explanation is without a specific return destination, name of those who came and went unheralded and any supporting evidence, when declaring that these paintings of boats capable of sailing across oceans were created “at a time pre-dating Aboriginal occupation.”(5) Then to compound the offense, Walsh stipulated that because of the design and size of the boats being able to cater for that number of crew, everything about these paintings was too sophisticated to be anything else than “painted by non-Aborigines.”(6) When cavalierly conceding he did “expect to make enemies,”(7) Walsh most assuredly did exactly that, and the first two that immediately come to mind is the truth and Elders and Custodians of Original Lore. The elemental flaw in Walsh’s preference for unknown pioneers from afar is that this far-fetched allegation only works if any other depictions of such vessels is limited to the far northern areas of Australia, at no stage was Walsh aware of the existence or be able to accommodate an engraving on a rock platform of an ocean-going boat some thousand kilometres to the south. Found within 200 metres of the ocean at Gosford (NSW) this engraving is, according to the ex-Senior Park Ranger of Brisbane Water National Park, of an ancient boat with an exceptional high stern and bow. The configuration of the boat serves no purpose in still waters and was fashioned to bear the brunt of large waves and turbulent waters. John Gallard took us to this place with the promise of seeing a boat capable of sailing to distant lands. What is of the utmost importance is that at no stage did he suggest anything other than Original hands being responsible for both the engraving and the boat from which it was modelled. With the boat ticked off, we still have some considerable distance to sail to and return from, and if venturing any further into the water a familiarity with the four cardinal points is compulsory. A long, long way from where Walsh’s hypothetical technological savants briefly stepped ashore, yet extremely close to the engraving of the two ocean-going boats, is an engraving of a compass of the highest refinement which was created through the use of technology that cannot be emulated today. The eight lines radiating from a perfectly formed circle without the hint of a straight line or chisel’s blade, are spaced fourty-five degrees apart and mark out the four directions (north, south, east and west) and mid-points between each cardinal point (north-east, south-east, south-west and north-west). The close-up of the circle attests to a tool or technology that can cut into very hard rock and maintain a smooth even curve. Each of the nine cuts, has the same depth, narrow width, perfectly straight sides and flat bottom. There is no deviation, such consistency and unwavering steady line is beyond the abilities of any hand-held chisel, past or present. A resident professor in the closest related field inspected this exquisite copy of a compass and openly admitted that although such an engraving could be replicated in the laboratory, there was nothing mobile available that could be taken to any outside location that could come close. He was astounded by what was in front of him and unable to add anything beyond it wasn’t possible and nothing on the radar was likely to change that vacuum. For any clinging to the hope that some maverick reclusive odd-ball scientist invented such an ingenious device and decided to wander off deep into the bush and let loose, as remotely possible as such a proposal is, it also comes with a caveat, he also has to be an idiot. The engraved compass is not aligned properly and north is 15 degrees to the east of where it should be today. This means one of the most intelligent and secretive scientists of recent times can create such an incredibly advanced machine, but cannot read a compass and was not aware before, during or after of this elementary mistake. Or alternately, and much more likely, ancient people did have such advanced technology a long time ago when the earth’s axis was positioned in a way that north was 15 degrees further to the east. 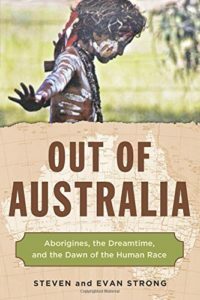 As to when that was so, all we can guarantee is that it was well before the British Invasion and well outside the embrace of any mainstream version of Australian and global pre-history. We have the boat, we have the crew and knowledge of the four directions, but that isn’t enough and will neither assure rites of passage across the open seas or any realistic chance of returning. And if by some convergence of fortuitous events they did manage to return, there is no way they could claim they had any idea of how they found their way back to home-base, and it certainly wouldn’t be through a familiarity with any geometric pattern be it a figure eight or a crude circle. While it’s helpful to have the main tool needed when navigating, the compass, there has to be something against which to measure and map their course when so far from land. Unless they are intimately familiar with the movement of stars, planets and the cosmos at large, nothing is certain beyond sailing into the void. The evidence in support of an intensive and ancient understanding of the mechanics of the stars and Universe is impressive in both quantity and quality. Equally, what seems to be part of a recurring tendency to forget and omit, is how little of these archaeological truths have reached the ears and eyes of the general public. The archaeology is there, papers were published, astronomical stone constructions have been reported in the media and star charts dated, but nothing seems to change. 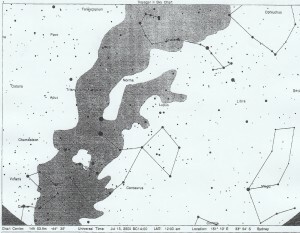 As to why the climate is so hostile to the Original astronomical truths, perhaps the plight of a star map that Sydney University openly admit they did receive and date, then lost all records of to this day is symptomatic of this malaise. A series of star markers that sit directly above the rather sensational and hotly debated Bambara hieroglyphs were mapped and sent to Sydney University and then lost. 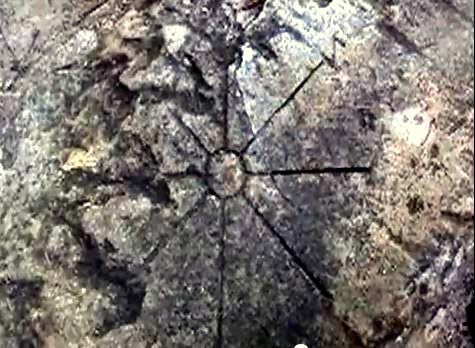 Repeated approaches for copies of the original work and co-ordinates have been stonewalled, and until we received a copy of the original star chart with dates, latitude, longitude and a date of 2,500 years BC, we also thought all these rumours were some sort of ‘rural myth.’ But no, these star markers mark out the night sky as it appeared over 4,600 years ago and this runs counter to not one, but two assumptions. That the size of each star marker was in proportion to that above and exactly aligned is an unexpected step outside every academic comfort zone, but knowing that the Bambara hieroglyphs are alleged to be Proto-Egyptian and that this style of writing was the chosen the script 4,600 years ago in Egypt and possibly Australia, will cause even more discomfort. As such, the less said the better, and until the dated map was found this inconvenient truth was always kept at arm’s length. However, it would be unwise to ignore all academic reports and papers, as not all researchers are tied to postings and the approval of bureaucrats, and Hugh Cairns certainly falls into that impartial category. His book, Dark Sparklers, is the only academic book yet written that is solely devoted to Original astronomy, and contains two findings that directly impact the timing of the journey and navigational skills they possessed. Cairns is adamant the Original people had been studying and noting the movement of the stars at least 30,000 years ago. In what certainly upped the ante considerably, Cairns went to great lengths in emphasising the obsession the Original astronomers had with the dark spaces. They charted not so much the separate lights of each star, but the shapes in between. The similarities to black holes and antiquity of their interest in as on top, is well known in Original circles, but outside the orbit of so many experts who opt for a different type of intellectual ‘black hole’ which should be avoided at all costs. 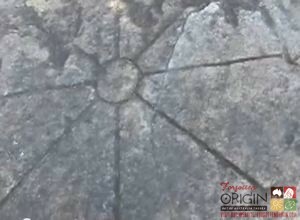 What only adds to the scope and complexity of the Original expertise are two massive stone astronomical constructions found in the Snowy Mountains. We were first taken to both sites by John Gallard, who was also the ex-Senior Park Ranger of the Snowy Mountains. 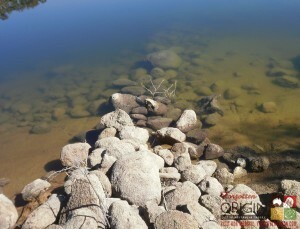 The first site was the smaller, consisting of about 15,000 rocks which ran down a quite steep slope and disappeared into the waters of Lake Jindabyne. Some preliminary work had already been done and it was found the purpose of this wall was very astronomical and quite unexpected. The wall marked out the rare alignments of five planets with the earth and obviously was a planetary orientation of great significance and requires an extensive understanding of their respective orbits, coupled with the ‘unscientific’ belief this arrangement has a direct impact on earth. Our guide was adamant the way the wall was constructed, with small and large rocks evenly spread both on the outside and throughout, is not in the style of European walls which have predominantly large rocks as a façade and small rocks used as the fill in the centre. 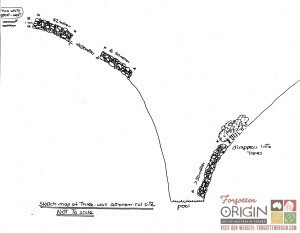 As impressive as this 100 metre wall (with the possibility of much more) descending into the depths of the recently created lake is, it was merely an entrée to the main course. Within the same general area are no less than 50,000 rocks spread over at least four walls, one of which climbs up a slope of about 70 degrees, and another that is so steep I was too concerned for my personal safety to even go near to measure. This is not just a set of walls, but a technological feat of considerable dimensions. There are three smaller walls that introduce this arrangement and all are aligned east to west. The other larger walls are harder to ascribe a role, star, planet or constellation and are still firmly wedged in the too hard basket, and we await Original guidance on this matter. Now we have a complete stock-take and every reason to set sail from Australia with a reasonable expectation of returning in a boat which is ready, willing and able. The next question relates to the cargo stowed aboard and insights stored, outside Original genes and chromosomes what else was bequeathed to the rest of the world? Everything! Any attempt at putting together a detailed account will fall woefully short on every level. Once seated on the boat, so many new perspectives and ideas would have been shared using an Original tongue, and this is our next port-of-call. Simply because whatever skills and wisdom they were to share had to be offered elsewhere through their language, and the Original tongue is the foundation upon which all other languages of the world evolved. Knowing that the first words were spoken in Australia and is the first step and precursor to all other languages, it now seems an appropriate time to determine what was said and shared once stepping onto new lands. But to do so requires another article of no less than equal length to this report, as the list of insights, knowledge, technologies and ceremonies exported throughout the globe is huge and warrants a considerable time and space. What we can guarantee is that there is so much more than can be found in any approved text or syllabus and extends into every aspect of almost all human endeavours and philosophies. There is a ‘log-jam’ of inconvenient archaeology ahead and we feel the best way to conclude this small chapter and introduce what will follow is to refer to a newspaper article (The Mail, Adelaide, SA, Saturday 23 October 1937) which was discussing, but never contesting or ridiculing, the thoughts and theories of an academic sixty years ahead of his time, Frederic Slater. “Mr. 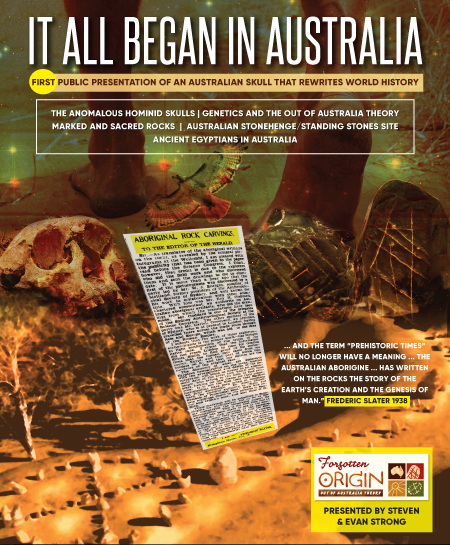 Slater seeks to prove that the stone-age aboriginal (sic) believed that men came from a protoplasm created by God as a special species, and that the original man could speak from the moment of his creation. The author also offers evidence that the stone-age aborigine (sic) had a deep knowledge of the human circulatory system, that he believed that the origin of the planetary system was tidal, that he understood the creation of the world and knew much about light, darkness and fire. Fresh evidence is also given that he believed in the immortality of the soul. (1) Robert Plant & Jimmy Page (1971), “Stairway to Heaven” Led Zeppelin, (Atlantic), Song Lyric. (8) Frederic Slater, (1939), Personal Notes“. (9) Prof. Hermann Klaatsch, (1923), The Evolution and Progress of Mankind, (Edit/Enlarged Prof. Adolf Heilborn & Trans. Joseph McCabe), (Frederick A. Stokes Company Publishers: New York, U.S.A.) 136. (11) “Came From Africa To Australia Our Black’s Ancestors”, The Mail, (Adelaide: 23rd Oct. 1937), 6 (N).